Stunning Pastel Pink Metallic Mix Candles with holders - Extra Tall Approx 18cm (7") high. .. Stunning Pastel Blue Metallic Mix Candles with holders - Extra Tall Approx 18cm (7") high. .. Stunning Silver Metallic Candles with holders - Extra Tall Approx 18cm (7") high. .. Stunning Gold Metallic Candles with holders - Extra Tall Approx 18cm (7") high. .. 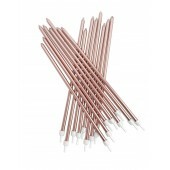 Stunning Rose Gold Metallic Candles with holders - Extra Tall Approx 18cm (7") high. 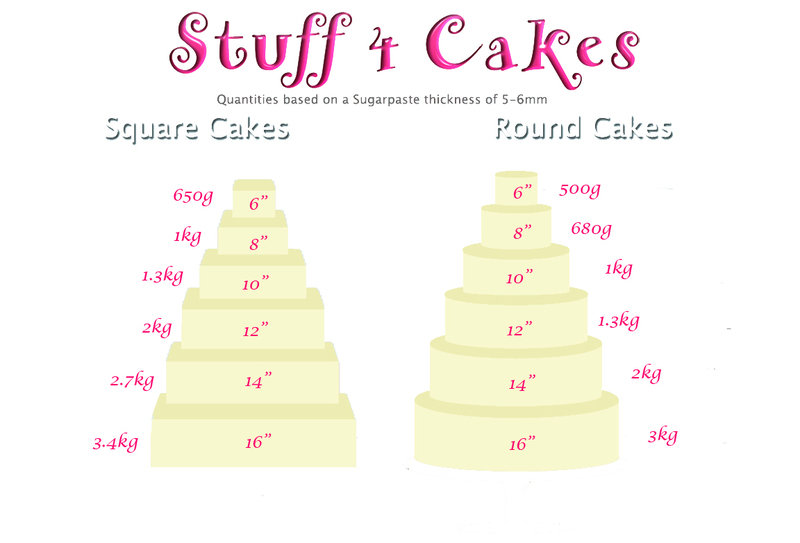 ..
Birthday Brights Rainbow Candles Extra Tall Light up the party with these rainbow candles by Talk..
Party Porcelain Rose Gold Candles Extra Tall These long pink, light pink and metallic rose gold c.. Pink Dotty Candles Approx 10cm tall. ..
Blue Dotty Candles Approx 10cm tall. ..
Red Dotty Candles Approx 10cm tall. ..
Multi Colour Dotty Candles Approx 10cm tall. ..
Black & Silver Star Candles Approx 10cm tall. .. 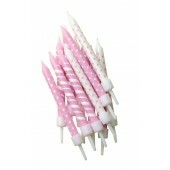 Pink Candy Stripe & Polka Dot Candles Approx 6cm tall. Pack of 12. ..
Blue Candy Stripe & Polka Dot Candles Approx 6cm tall. Pack of 12. .. Pink Stars Candles Approx 6cm tall. Pack of 12. 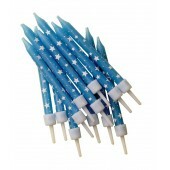 ..
Blue Stars Candles Approx 6cm tall. Pack of 12. 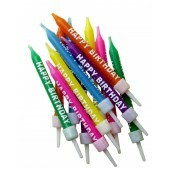 ..
Multi Coloured Happy Birthday Candles Approx 6cm tall. Pack of 12. 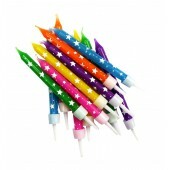 ..
Multi Coloured Stars Candles Approx 6cm tall. Pack of 12. .. Pink Glitter Candles Pk/12. Length 3.25" .. 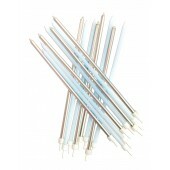 Pale Blue Glitter Candles Pk/12. Length 3.25" ..
Mint Green Glitter Candles Pk/12. Length 3.25" ..
Lilac Glitter Candles. Pack of 12. Length 3.25" ..
Purple Glitter Candles Pk/12. 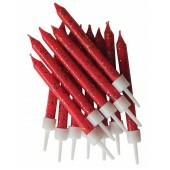 Length 3.25" ..
Red Glitter Candles Pk/12. 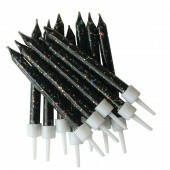 Length 3.25" ..
Black Glitter Candles Pk/12. 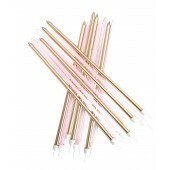 Length 3.25" ..
Pearl Pink Twist Candles Pk/12. Length 3.25" ..
Pearl Blue Twist Candles. Pack of 12. 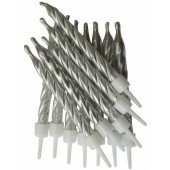 Length 3.25" ..
Glitter Spiral Brights Candles Pack of 12. 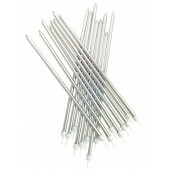 Length 3.25" ..
Glitter Spiral Rainbow Candles Pack of 12. Length 3.25" .. Pink Heart Candles with holders Approx 6cm tall. Pack of 12. ..
Unicorn Candles Approx 6cm tall. Pack of 12. ..
White Pearlescent Spiral Candles Approx 6cm tall. Pack of 12. 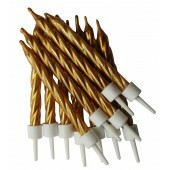 ..
Silver Spiral Candles Pack of 10 ..
Gold Spiral Candles Pack of 10 ..
Rose Gold Metallic Spiral Candles Pack of 12. ..
Pearl White Skinny Candles Beautiful pearlised white birthday candles. Pack of 12. A..
Wilton Gold Dot Candles Beautiful white birthday candles decorated with metallic gold dots!.. 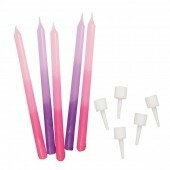 Celebrate a birthday in style with this lovely pack of pink & purple ombre candles. Perfect .. 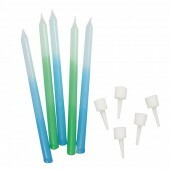 Celebrate a birthday in style with this lovely pack of blue & green ombre candles. Perfect f.. 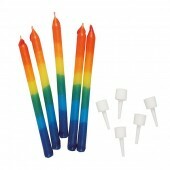 Celebrate a birthday in style with this lovely pack of rainbow candles. Perfect for adding a fun..
Rainbow Happy Birthday Candle This Happy Birthday candle is perfect for birthday celebration cake.. 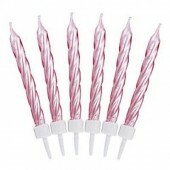 Pick & Mix Pink Happy Birthday Candle This Happy Birthday candle is perfect for birthday cele.. Pick & Mix Silver Glitter Happy Birthday Candle. This Happy Birthday candle is perfect for bi.. 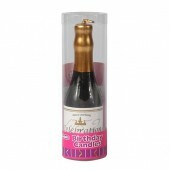 Pick & Mix Gold Glitter Happy Birthday Candle. 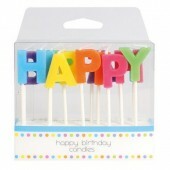 This Happy Birthday candle is perfect for birt.. Pink Glitter Make A Wish Birthday Candle This beautiful candle is perfect for birthday celebratio..
Glitter Birthday Babe Birthday Candle This beautiful candle is perfect for birthday celebration c.. Pastel Happy Birthday Candles Dipped in Glitter These adorable ‘Happy Birthday’ candles by Talkin..
Rainbow Happy Birthday Candles Dipped in Glitter These adorable ‘Happy Birthday’ candles by Talki.. Happy Birthday Candles Celebrate that special birthday in style with these Happy Birthday ca.. Champagne Bottle Candle. Approx 100mm tall. ..